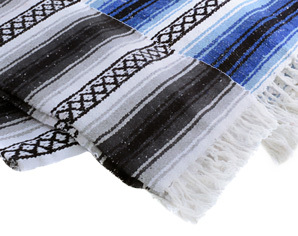 Hola and welcome to MexicanBlankets.com, where we are proud to offer you a muy hermosa y grande selection of the highest quality Mexican Blankets, Baja Hoodies and other authentic related products – all at very low open-air-market pricing. 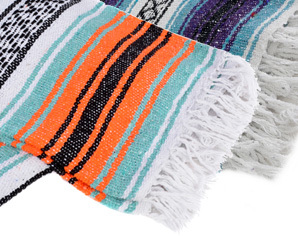 These thick, soft, vibrantly colored blankets, bajas and serapes not only bring to mind the charm of old Mexico, but they’re also warm and practical. Sometimes the old ways are the best ways, and there’s a darned good reason these products have a timeless feel and look – they have literally stood the test of time. 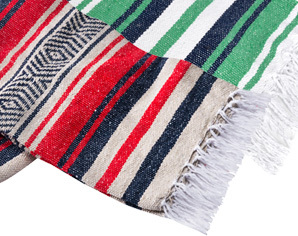 Nothing will keep you warmer on a chilly night than a baja hoodie or a Mexican blanket. And, mi amigo, you will look slick! Oh si, si! 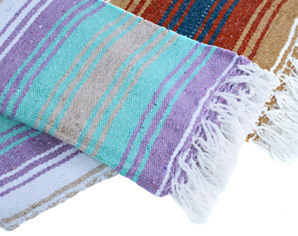 Perfect for outdoor concerts, a day at the beach or evening strolls, imagine wrapping yourself up in one of our thick, colorful serapes or blankets. 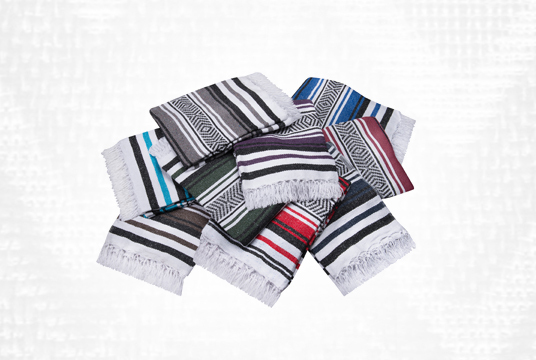 Remember, with one of the largest selections of Mexican blankets and related products in the world, we have an almost limitless choice of color combinations sure to satisfy even the fussiest shopper. We also offer free shipping for orders over $35.00, and our volume discounts are clearly listed next to each item. We are a small company with gigante-sized product selection, but because we’re small we can offer personalized service. So, take a look around, see what catches your interest, and let’s get this fiesta started!